My clients report back that, at a minimum, they have an increased sense of well being after a session. They feel considerably more relaxed, more aware of their bodies, and more integrated. Their pain is also reduced considerably. Symptoms can shift immediately, or after 3 or more sessions, depending on the perpetuating factors. If the tension patterns have been held for a long time it can take longer to release and integrate them. As the treatment progresses, sessions are scheduled once a month and then reduced to treatment only as needed. My goal is to convey that Ortho-Bionomy is simple yet highly effective. Its effectiveness is enhanced via clients continued use of the techniques of self care at home, as instructed by the Registered Practitioner. All of this not only helps to integrate the changes in our body better health, but also life’s changes. Simple, easy at times challenging, but results are worthwhile. For appointments call The Therapeutic Alternative 561-392-3340. Working with Tuning Forks: It’s a Vibrational Thing! 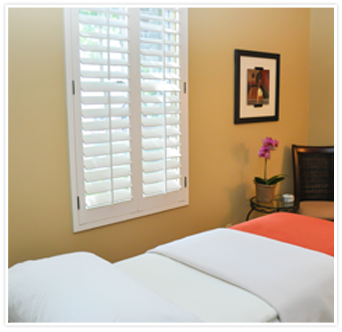 What is Advanced Lymphatic Therapy™ and Ortho-Bionomy®?